If you want to improve your home or office appearance, you need to hire the best painting company today. Mr Painter is ready to help you paint your property easily. There are some benefits that you can get, especially when you choose a reliable painting company for yourself. Because of these advantages, you need to compare some available painting companies very carefully. Here are some important things that you can get from choosing a reliable painting service company today. 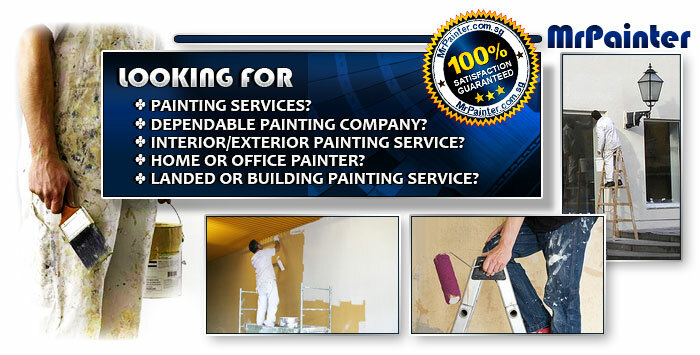 This is the first benefit that is offered by a reliable painting company, such as Mr. Painter. This company can help you save your time when you want to paint your property, such as office, HDB unit, apartment, and some other properties. If you are a busy person, you can consider using this service. Most reliable companies are able to complete any painting projects quickly. When you want to save a lot of your valuable time, you can consider hiring the best painting service company that has good reputation among many customers. Reputable companies are able to provide their high quality services for all customers. This is another reason why you have to select a reputable company. When you choose a good painting service, you can protect all of your assets easily. Some reliable companies may include insurance plan in their services. When their painters cause any damages on your property, they are able to replace your items or other furniture in your property immediately. If you have a lot of valuable items or furniture in your property, you can consider hiring a professional company today. This reliable service allows you to maintain the quality of your furniture and other related items, especially during the painting project in your own property or building. When you hire a professional and reliable company, you can get this benefit from this company. Some companies are able to provide guaranteed service for their customers. When you are not completely satisfied with their services, you can simply contact these companies immediately. Some of them can provide guaranteed service for all customers. This guaranteed service can help you paint your properties perfectly. When the painting projects is not done accurately, you can simply ask for refund or re-painting project. This service can help you improve the overall look of your properties easily. They are some important things that you should know about painting service. When you want to paint your property easily, you need to use the best painting service today. 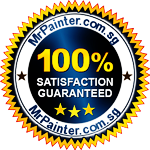 Mr. Painter is one of the most popular painting services in Singapore today. This company is ready to help all clients improve the overall look of their properties easily. It is easy to contact the customer service from this company, so you can ask anything related to all available services. 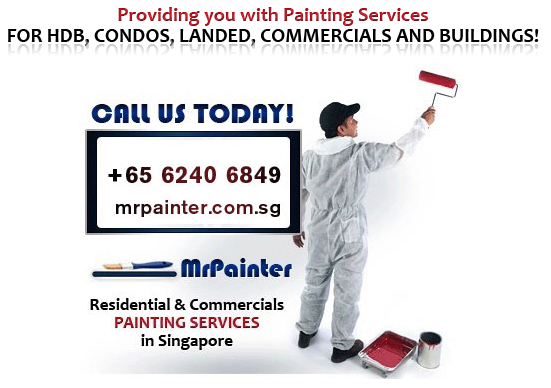 Mr. Painter can provide the best painting services for commercials, landed, condos, HDB units, and also other types of buildings. If you live in Singapore, you can find many reliable painting services in this country. It is recommended that you hire professional painter, in order to paint your properties, including condo, HDB unit, office building, and many other properties. This type of painting service can bring a lot of benefits for you. Keep reading this article, so you can find out about some benefits of this painting service. You can also learn about how you can find the best painting service that can provide the best service for you. Here are some useful details that you should know about Singapore painting service. 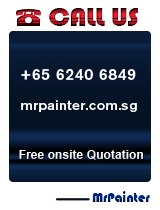 There are some recommended painting service companies in Singapore. You should compare some available companies, in order to find your favorite one easily. When you plan to choose your favorite company easily, you can also consider some of these important factors. There are some important things that you need to consider, so you can choose the best painting service in Singapore easily. When you consider these important factors, you will never have to worry about finding your favorite painting service company in this country quickly. Here are some useful tips on how you can choose your favorite painting service. This is the first thing that you need to do. It is a good idea to compare some available painting service companies, in order to choose the best company for yourself. Good companies usually have a lot of great reviews from other customers. When you want to choose a reputable painting service company, you can choose Mr. Painter today. This company has good reputation among many users these days. Many clients are completely satisfied with all services from this company. You can read a lot of good reviews about this reliable painting service company. This is another useful tip that can help you find the right painting service for yourself. You can ask for this quote from your favorite painting service company. Mr Painter is ready to give you detailed quote, so you are able to manage your own budget for your painting project easily. This quote can include some important details related with your painting project, for example labor cost, paint cost, insurance fee, and many other important details. When you want to avoid paying too expensive painting service, you need to compare some quotes from several reputable painting service companies. When you want to choose the best painting service, you can compare all available painting service companies in Singapore. You need to consider their experience, so you can find the best company for yourself. It is recommended that you choose the best painting service that has more than 5 years of experience. Experienced companies usually know how to paint your property completely. Mr. Painter is one of the most popular painting companies with a lot of experience in this industry. You can contact this company today to ask anything about all available services.